While some people like to organize their travel on their own, many others prefer the ease, expertise and peace of mind provided by travel agencies. If you are one of those who wish to do business with professionals and vacation getaways, you must make sure that they are listening to you and they are organizing a trip for you that will meet your needs while respecting your budget. Here are some tips that will guide you in choosing a good travel agency. While the vast majority of travel agencies are worthy of trusts, some have had bad experiences in buying a travel package with a somewhat obscure company that later mysteriously disappeared, taking their money with it. To avoid this kind of experience, just be careful. If the name of the travel agency with which you do business are not familiar, carry out some research. Make sure you find the address of the registered office of the agency, and make sure it is in possession of a license number. The councilor of a good travel agency will listen to you when you first met. It should be able to ask the right questions to understand your tastes and needs, to offer you travel packages to suit you. What is the main purpose of your trip? Do you prefer traveling alone or in a group? If you feel that people who work in a travel agency do not listen to you, or they cease to offer trips that you do not like, do not hesitate to go elsewhere. It is important that you feel comfortable and you have your say in the planning of your trip. You might regret certain choices thereafter, if they were made by someone else without your whole approval. 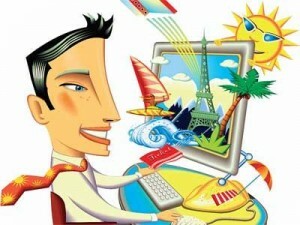 Buzz marketing is a good way to get an idea of the skills of a travel agency. Ask advice from friends or relatives and evaluate the services offered them their travel agency. Take into account their views and compare their tastes and needs to your own. If you do not know anyone who has used the services of a travel agency, you can check out online sites to get an idea of the views of users. Beware though comments too positive or too negative: they may have been posted by a travel agency or its competitors in order to positively or negatively influence its reputation. Once you have found the agency that suits you and suggested you the ideal trip, be sure that the sale contract which you get ready to sign includes certain important elements. Besides the price and conditions of cancellation and refunding, should find there the precise list of all the services included, but also the contact a representative with whom you can contact in case of problems. All these details will make your travel experience easier and therefore more enjoyable.